It's no secret that I'm a fan of a holiday... and as I'm writing this, it's only a couple of days til my next adventure (this time to Thailand, so expect a very blue and bright Instagram feed). But when it comes to trips, I'm starting to really open my eyes to staycations. Call it an age thing maybe. Or blame meeting someone who's naturally quite active. Either way I've definitely started developing more of an interest in the outdoorsy lifestyle. Sure I'd probably prefer a beach setting most of the time... But after my last trip to the Lakes, I think my head has been turned and I already can't wait for my next trip in January. 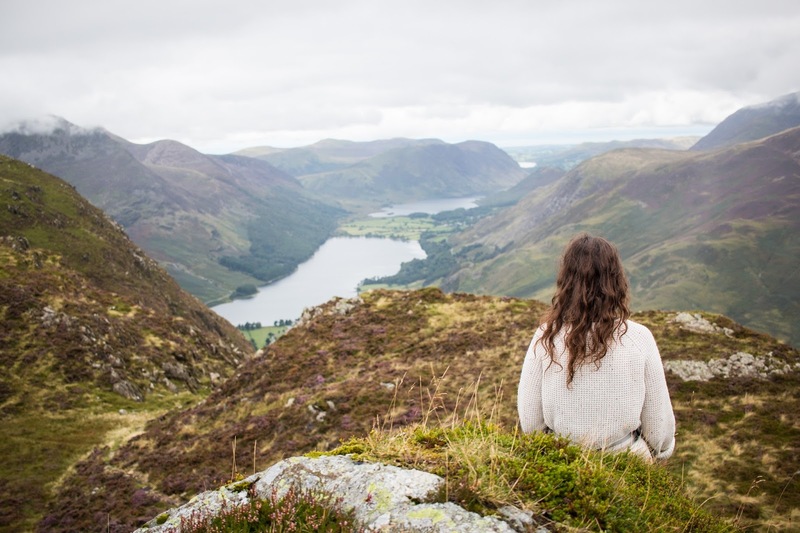 Being only a couple of hours from Newcastle, the Lake District is the perfect place for a weekend break. Just a fairly short drive and you soon leave the city behind, and swap the urban landscape for a more natural one. Rolling hills, wide space, peaceful lakes. And for the most part, zero phone signal or wifi. The ultimate escape for someone as addicted (and prone) to checking social media as me! One of the things I love most though is that it's the type of place that transforms depending on the season. In summer, there's nothing better than a day on Derwent Water, kayaking, paddle-boarding and soaking up the sun. Or climbing up Honister Slate Mine to enjoy the views over Buttermere (which as you can see are totally worth a two hour climb). And while you might have to wrap up a bit warmer during the winter months, the Christmas markets (near Windemere) make the trip even more magical. Promise you it'll be worth investing in those thermals for!